Copper cathode is a form of copper that has a purity of 99.95%. In order to remove impurities from copper ore, it undergoes two processes, smelting and electro refining. The resulting, nearly pure copper is an excellent conductor and is often used in electrical wiring. When it is in the ground, copper does not exist in its pure form. Rather it is part of a compound. One of the most common types of copper ore is a mixture of copper, iron and sulfur. This ore is called chalcopyrite. After the ore is mined, it is heated in a furnace to 2,012° F (1,100° C). At this temperature, oxygen reacts with the iron in the ore, turning the ore into three substances, iron oxide, sulfur dioxide and copper sulfite. After most of the iron is removed from the copper ore, the copper sulfite, which is also known as copper matte, is exposed to high levels of oxygen. The copper matte is still in a molten state, and the oxygen sent into the furnace is able to bond with the remaining sulfur, creating more sulfur dioxide and 99% pure copper. At this point, the refined copper can be used for goods that do not require a high degree of conductivity, but the copper can be refined further into copper cathode through the electro refining process. Many of the remaining impurities in the copper are traces of other minerals, including nickel, silver, and gold. These trace minerals are collected during electro refining. In electro refining, the 99% pure copper is placed in a solution of sulfuric acid and copper sulfate. 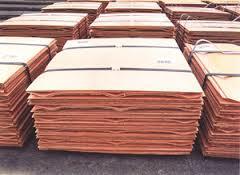 The sheets of impure copper are lined up next to materials that pure copper will deposit on. Electricity is sent into the tanks through the impure copper slabs, called anodes, and leaves through the pure copper that is formed, also called the copper cathode. Impurities in the copper either sink to the bottom of the tanks or rise to the surface as ions of pure copper travel through the solution to the cathodes. The copper scrap price is usually as dear as it is because of the process that it must go through to become purified. Doing all of that takes time and resources, which basically equals money to suppliers. That is why many people are turning to recycled copper. 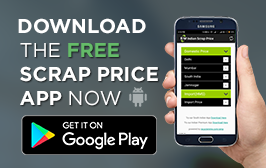 They often come with better prices attached but the same exact benefits. The only problem with recycled copper scrap is that it usually stems more from the fact that many folks sell their excess copper to these recycling centers for a pretty penny. The suppliers can often actually buy the copper cheaper than they can mine it. After copper cathode has been made into its purest form, I know that the copper itself is very useful. But what becomes of all of the other elements that were naturally a part of the compound? It seems like that it would be more productive and just plain wise to find ways to use these valuable bi-products as well. I know sometimes iron and sulfur are part of what comes away from the copper through the process of purification. Wouldn't it be greener if we utilized these as well? I mean if you’re going to go through all of the trouble of extracting it from the copper, why not find a good use for it too? It seems like this could even help copper suppliers keep costs down. LME Week 2015 has come and gone. However, it didn’t provide much clarity about the further development of the copper market. Large copper companies released their cathode premiums for 2016 annual contracts and thus at least indicated their expectations. The economic slow-down in China and significant measures at larger mining companies in light of lower raw material and copper prices left a considerable impression. Analysts can’t seem to agree, though, and LME Week participants didn’t seem to have a clear opinion in discussions, either. A sharp drop in copper prices, the most in last six years touching the lowest mark since August 2009, portrays the bleak environment globally. Commodities are trading at the lowest level in more than 12 years, thanks mainly to the drop in energy prices. Copper is the worst performing non-energy raw material on the Bloomberg Commodity Index, which fell to the lowest since August 2002. Following are 5 reasons for the fall in copper prices. Lower growth forecast: World Bank in a recent report lowered global growth rate to 3 per cent for 2015 lowering its earlier estimate of 3.4 per cent it made in June. Commenting on the lower projection, World Bank economist Kaushik Basu said that global economy is at a disconcerting juncture and it is as challenging a moment as it gets for economic forecasting. China worry: China is a big cause of concern simply because of its sheer size. A Bloomberg report quoting from a CRU group report says that demand growth in China will slow to 4 percent in 2015 from 5.5 percent last year. Between 2002 and 2012 it averaged more than 10 percent. The country’s economy is forecast to grow 7 percent this year, the slowest pace since 1990. World Bank in its report also pointed out that China is slowing and the second biggest economy is undergoing a ‘managed slowing.’ Deutsche Bank AG says that the world’s biggest user will grow at the slowest pace since at least 2010. Goldman Sachs in fact pointed out that any rebound in copper will depend on government stockpiling by China and pace of demand growth in that country. Oil Prices: Goldman Sachs Group Inc. in a report said that lower energy costs and demand weakness amid worse-than-expected economic data in China are driving prices down. Lower oil prices results in lower cost of production of copper, since energy and transportation cost accounts for 25 per cent of the cost of production. Morgan Stanley said in a report that fall in oil prices is sending the signal that it will encourage mining companies to increase production. Inventory issues: Rising copper inventories globally and specifically in China is adding to the fall in copper prices. Copper inventories have climbed 4.5 percent since the start of the year and are up 29 percent since June, when they dropped to the lowest in more than five years, in the main exchanges of London, New York or Shanghai according to data compiled by Bloomberg. Goldman Sachs says that China’s consumption is likely to remain weak with visible inventories rising in the first half of the year. Stronger Dollar: Since copper is priced in dollar in major exchanges a stronger dollar means that it becomes expensive to a foreign buyer when the dollar rises. Dollar index which is measured against a basket of 16 currencies is trading at over 11 year high. Goldman Sachs pointed out a stronger dollar as one of the reason for copper not being favored by investors.